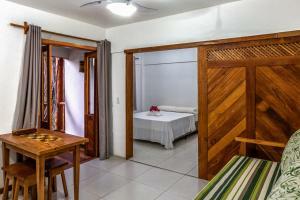 Very close to the beaches and main tourist areas/streets of Itacare, but also on a quiet back street so peaceful and able to get a good nights sleep. Very clean, comfortable bed. Good value. 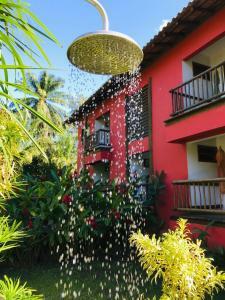 The place has everything you need and the owner is a very charmant and calme man, always ready to receive. 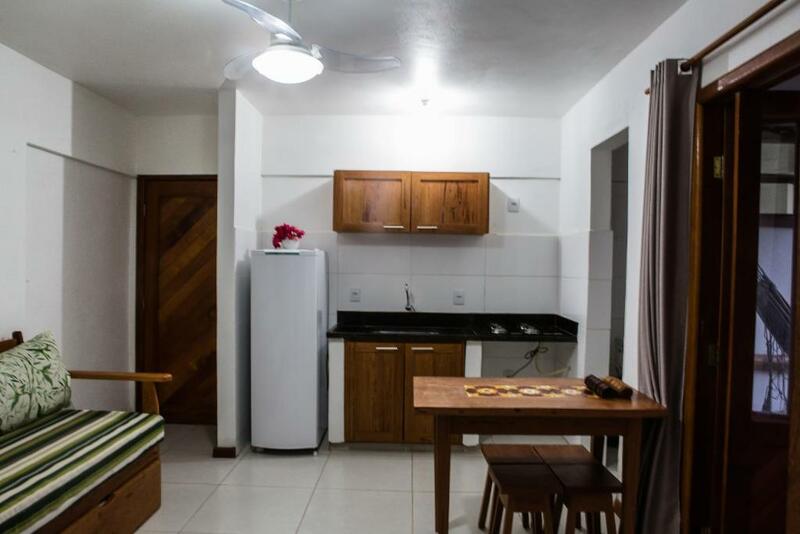 Arpoador Flat does not serve breakfast, but there is a kitchen in the apartment so you can prepare your own breakfast and other meals. The flat is very comfortable and is cleaned every day. The location is very nice. 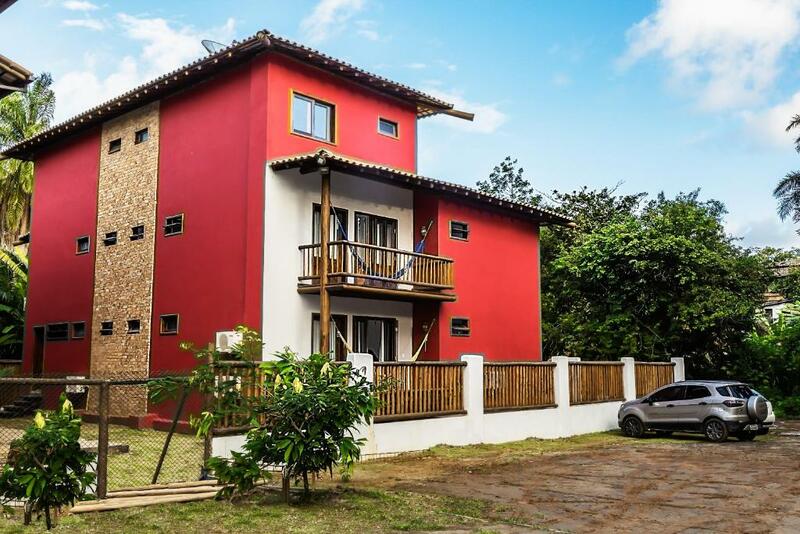 Quiet, but close enough to restaurants and at a walking distance to the beaches of Concha, Resende, Tiririca, Costa e Ribeira. There is a wash basin and clothesline so it is possible to wash clothes by hand. I also enjoyed the hammock on the apartment balcony. Apartamento bem aconchegante e confortável. Próximo de praias maravilhosas e da principal via da cidade e localizado em um local bem sossegado a qualquer hora do dia. 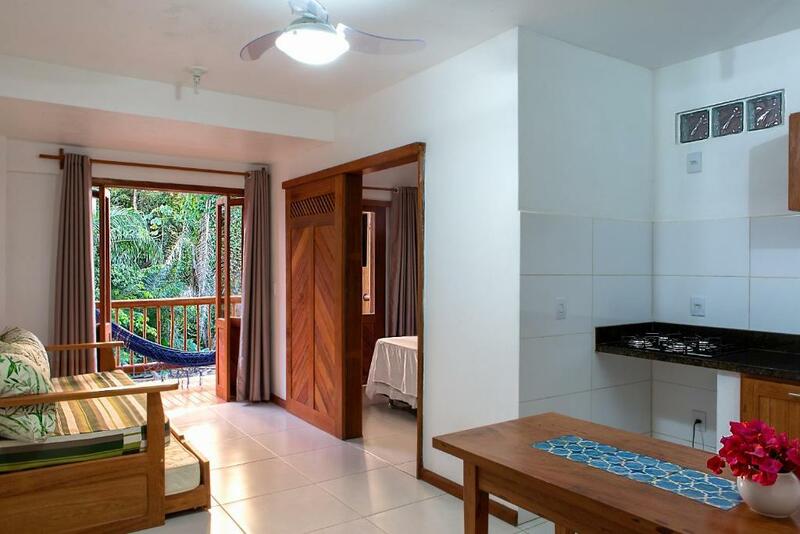 Cama muito confortável, espaço maravilhoso, super limpo e cozinha prática. Todos os utensílios estavam limpíssimos e organizados. Adoramos e voltaremos com certeza! Localização excelente, perto das praias e muito próximo ao centro! Espaço ótimo e muito confortável. Recepção, cordialidade, prestatividade dos funcionários. Acomodação muito bem higienizada e confortável, com resalva para o colchão um pouco mole, mas nada que prejudique o descanso. Perto de local comercial com muitas opções de alimentação e outros produtos. As praias são lindas, principalmente a da Ribeira. Da localização, da limpeza, da acomodação como flat e do atendimento rápido quando necessitamos, pelo whatsapp. Localizacao. Limpeza. Quartos bem novos com varanda gostosa para relaxar. 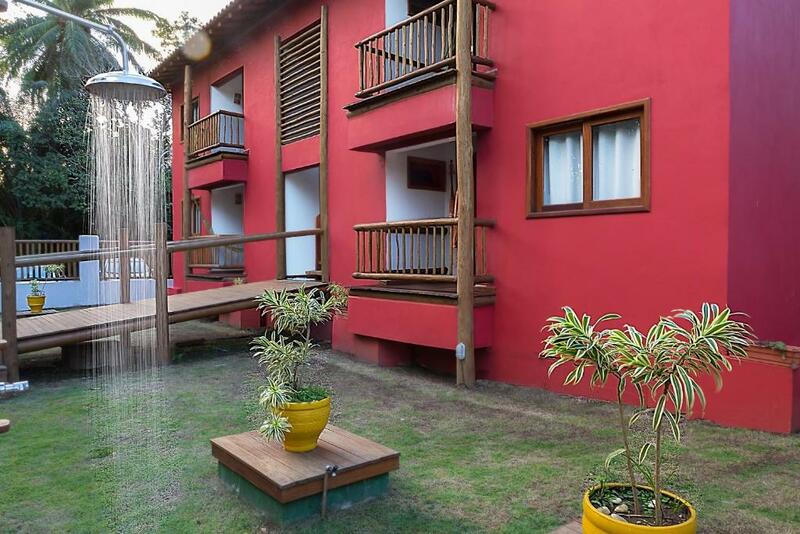 Lock in a great price for Arpoador Flat – rated 9.3 by recent guests! One of our best sellers in Itacaré! Just 1,650 feet from Itacaré’s Resende and Concha beaches, Arpoador offers air-conditioned apartments with fully-equipped kitchenettes. Surrounded by gardens, it offers free Wi-Fi and free private parking. With a balcony and hammock, the apartments feature a living area with a 24" LED TV and sofa. Their kitchenette includes a refrigerator, stove and utensils. 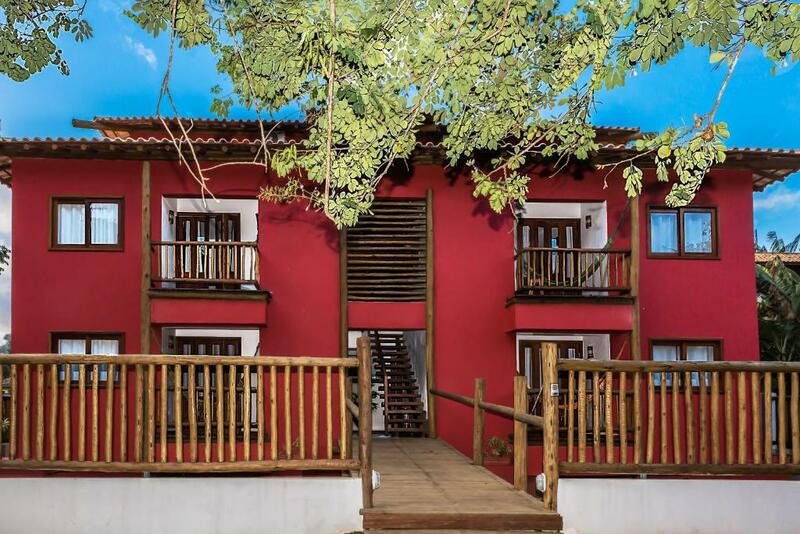 Arpoador Flat is 500 feet from Rua da Pituba street, and 1,950 feet from Tiririca Beach. Ilheus’ Jorge Amado airport is 43 mi away. 뀐 Located in the top-rated area in Itacaré, this property has an excellent location score of 9.2! 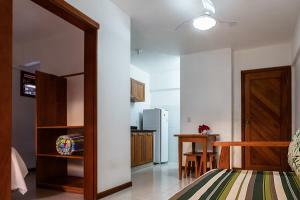 When would you like to stay at Arpoador Flat? 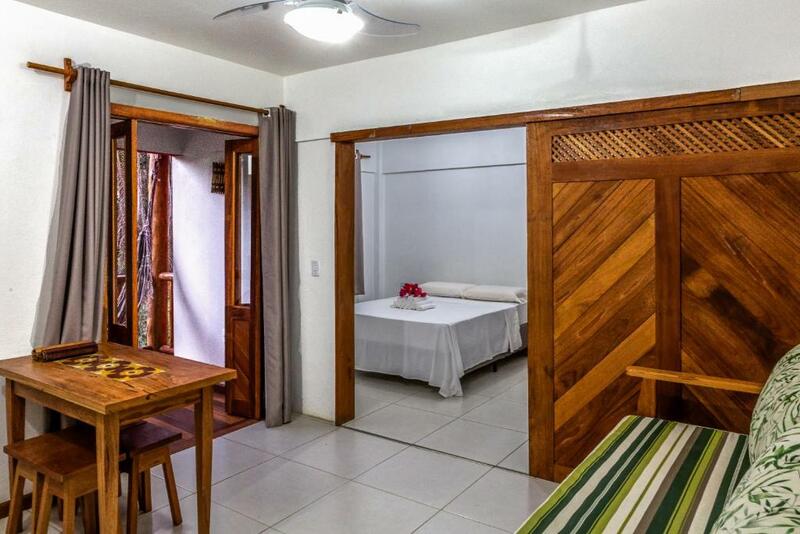 With a balcony and hammock, this air-conditioned apartment features a living area with a 24" LED TV and sofa. Its kitchenette includes a refrigerator, stove and utensils. House Rules Arpoador Flat takes special requests – add in the next step! A deposit via bank transfer is required to secure your reservation. 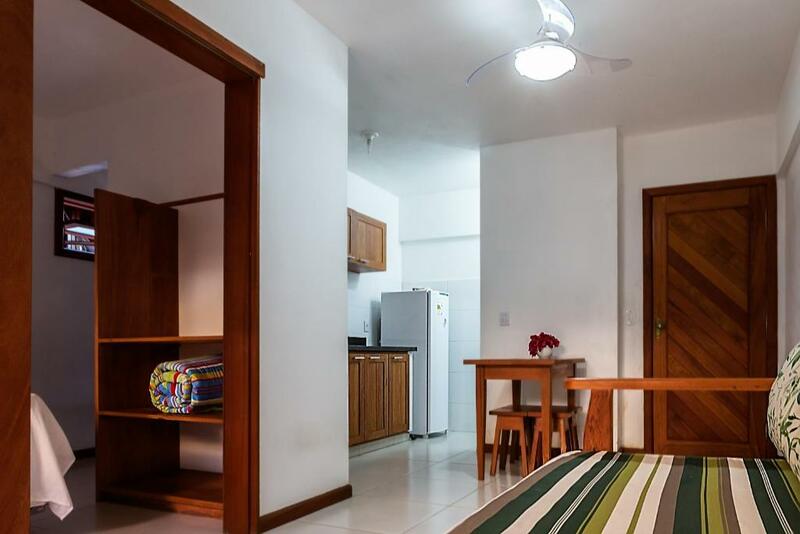 Arpoador Flat will contact you after booking to provide bank transfer instructions. Staff was very friendly and helpful, but came into room without our knowing or approval to make our bed and take away towels they thought were dirty without replacing them. It was a little unsettling because we had our passports and valuables in the room and didn’t see the point in such a scare when they didn’t really much besides make our bed. They also left the balcony door unlocked after their entry, so next time we’ll be sure to specify “não serviço de quarto por favor”. nothing! all was percfect there. i love it! The room was very uncomfortable it wasn't thought for practicality. No shelves to put anything, no hooks to hang anything. There's was a clothes rack located in the most uncomfortable position under the TV, were all the clothes would touch the floor an if you used the hangers the space would become even more tight. The space thought as a table to eat was a piece of wall that wasn't the right size to hold two plates and two glasses and we ate standing as there were two stools that didn't work for the height of the "table" you risked every time to drop things on the bed. No chairs to sit, even in the balcony. Hamack completely unusable as the balcony has no protection. If you like the thrill of falling down three floors then it's great! There was nobody to talk to, I needed to change a pillow and couldn't find anyone, internet worked very rarely, we only could use the internet one day, we tried to look for someone on the day we were leaving to call a taxi as it was raining and there was no one, internet wasn't working to contact anyone and we left with a horrible memory of our time in itacare. I have no idea why this place gets the rating it does, if you get room 22 I'm sure it won't be like that.